Some parents utilize color coding. They consistently dress each twin in a designated color. For boy/girl twins, the color combination of choice may be blue/pink; for two girls, perhaps purple and pink, and for two boys, blue and green. You can have fun with it. 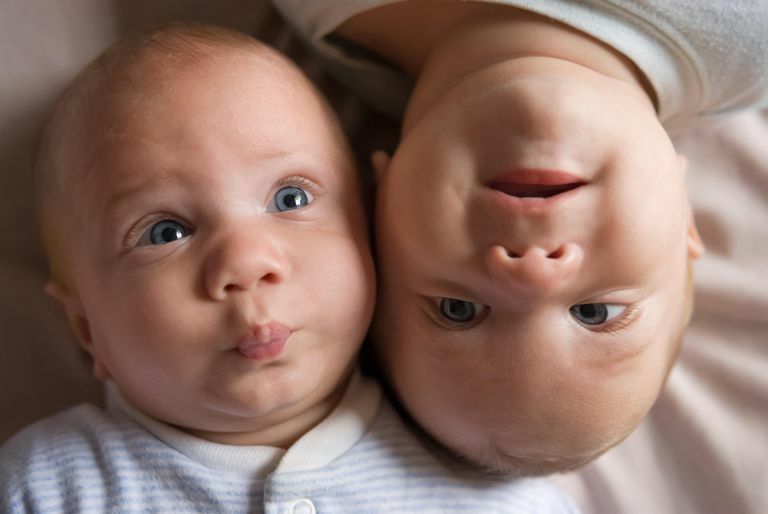 One parent of boy twins named Nick and Patrick used red and green. Nick wears red for St. Nick and Patrick wears green for St. Patrick. This system is invaluable for helping others tell twins apart, especially in daycare or school situations. It is also helpful to use a color coding system when you take photographs of your twins. Looking back, you'll always know who is who.